In mid 2015, AcademyGlobal (AG) established its first Corporate Advisory Board (“Advisory Board”). The following article captures the rationale behind this decision; how we approached it and the benefits we hope to reap. Advisory Boards are comprised of outside experts who help organisations reposition, make informed decisions on technology and innovation and establish new alliances. Advisory Boards help implement great ideas that will differentiate a company from its competition. Unlike traditional corporate boards involved in governance, Advisory Boards give non-binding advice, possess no fiduciary or legal responsibilities and are more flexible in size and composition. The Advisory Board members should bring additional ideas and insights to the organisation. Whilst a commercial acumen is highly desirable, specific industry knowledge is often not. This is because an Advisory Board is more likely to perceive and embrace divergent thinking, if it is unrestrained by current industry norms. Why did AG create an Advisory Board? In the early life of a company it is easy for owner mangers to restrict their focus to the most immediate challenges of the business. A tendency to stick to core business and not consider broader opportunities (or risks) arises because owner managers narrow their focus to short term goals – meeting customer needs and securing vital cash flow. However, in the longer run, businesses may be blindsided by unanticipated “disruptive” influences or miss the opportunities currently out of view. With the right members, an Advisory Board should provide the opportunity for over the horizon thinking, objective insights into the business context and a realistic appraisal of the firm’s capabilities. 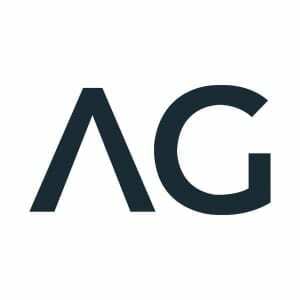 The intention behind AG’s Advisory Board is to provide our executives with guidance and advice – without the level of cost and obligation falling on either the advisors or the management of the company. In essence, the Advisory Board provides insights on strategy, innovation and challenges us on our awareness of risks. How to appoint the Advisors, how many and who? The first step is to clearly decide on the goals and objectives of the Advisory Board. In the case of AG, these include: providing high-level strategic advice, playing “devils advocate” and posing challenging questions to executives. In turn, we expect these interactions will help to stimulate AG to discover and embrace future opportunities whilst also preparing for potential risks. A further goal of our Advisory Board is for members to assist building AG’s profile through attending key company events and leveraging their own networks to promote the company’s interests. Once goals have been clarified, the next step is to appoint a Chair, who in turn, appoints further advisors. For the AG Advisory Board, we selected a recently retired regional vice president of a Fortune 500 company as Chair. He in turn, appointed a serial IT entrepreneur with deep experience in commercialization of startups. At AG we decided upon having only two external Advisors. The bi-monthly meetings comprise of AG’s Managing Director, our Director of Operations and our General Manager. The owner managers need to be candid about key aspects of the business. This includes providing a broad overview of the company financials, in-depth details on customers, products, channels, current and future markets, systems and controls. From the outset the owner managers must recognize that whilst robust questioning can be interpreted as criticism, the advisors intent is to be constructive. If offence is taken, there runs the risk that an advisor will alter their behavior or worse still – self-censor. All in all, AG has high hopes for our newly formed Advisory Board. We look forward to tapping into some fresh thinking, establishing valuable new networks and lots of robust discussions!